The chum salmon, also known as the dog salmon or the keta salmon, is a Pacific type of salmon that is marketed as a Silverbrite salmon. Its name is derived from the Chinook jargon word for ‘spotted’ or ‘marked’ which is tzum, while the keta part in its latin name is from the Evenki language of Siberia. Chum salmon are silvery blue green. 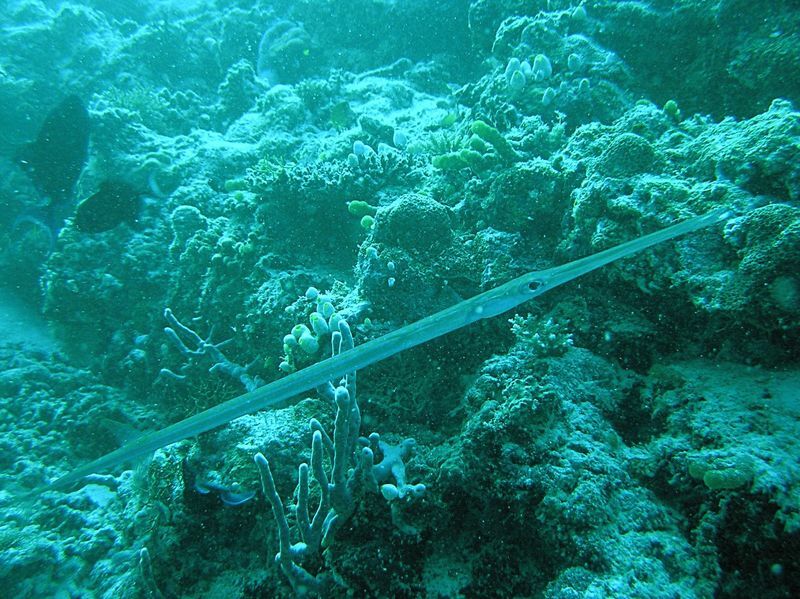 However, when th adults are near spawning, they have blotchy purple streaks near their caudal fin. 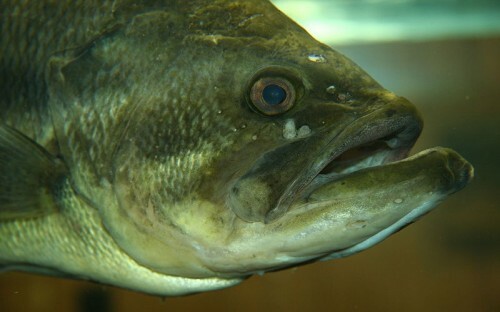 Spawning males grow an elongated snout, and have enlarged teeth. Researchers speculate that the snout and teeth growth are physical characteristics that males used to compete for mates. 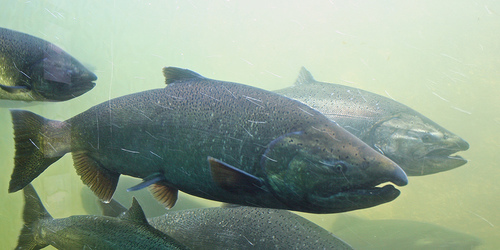 Adult chum salmons weigh between 4.4 to 10 kilograms on average, and are about a meter long. The largest chum ever caught was recorded at 16 kilograms and 1.52m long. 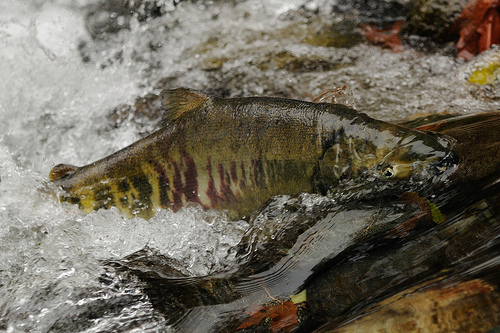 For food, chum salmon eat insects and zooplankton when they are juveniles. They also eat comb jellies. Traditionally, they have been a source for dried salmon. Fortunately for the chum salmon, it is the Pacific salmon species with the lowest commercial value. As a result, they are abundant in Alaska as commercial fisheries choose not to fish them due to their low market value. 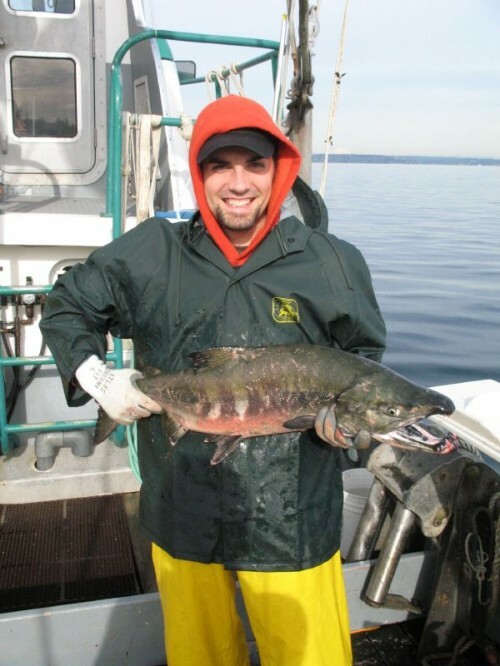 In addition, mature chum salmon are difficult to remove from nets due to their teeth. Outside of Alaska, it is thought that there are only a few healthy groups of chum in North America. The reason for this is because of dams as it blocks the fish’s migration patterns and free flow of the water. Sadly, two chum salmon populations have been listed as being threatened under the United States Endangered Species Act. These populations are in the Hood Canal Summer Run and the Lower Columbia River.